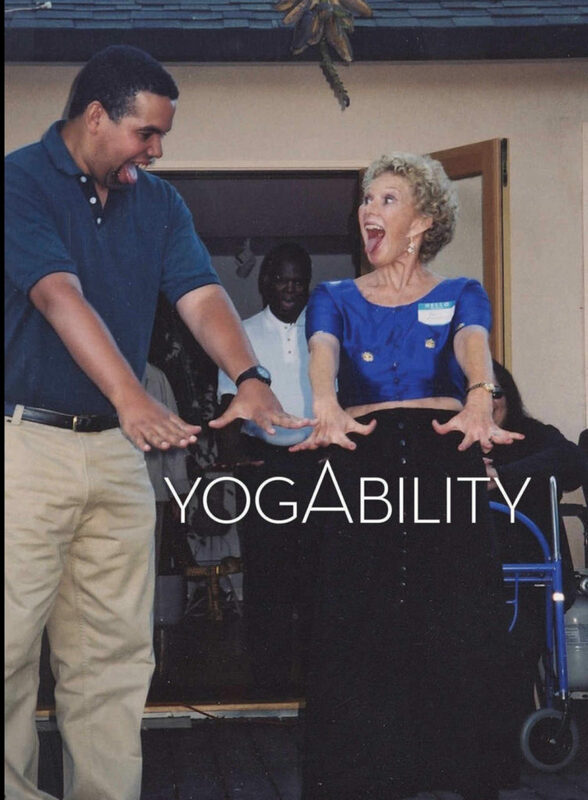 Offers a therapeutic approach to yoga for people with disabilities and special needs. before a head-on collision in 1985 changed the course of her life. Ammidown embraced yoga therapy as her life’s work. specific needs and that, over time, alleviates pain and enhances well being. six days a week. A mother of three and a grandmother of six, she shows no signs of slowing down. her relate to her students, especially those with special needs. and where she gets her indefatigable energy. Paula Fitzgerald: Tell me about your journey to yoga. dancing, which is what yoga is about—being connected to one’s body. That always gave me great pleasure. Then, after I’d moved to California, I found a book on yoga by Richard Hittleman. That was in 1962.
started giving little classes and then more classes followed. writing for years. I continue to do that in special classes and workshops. Fitzgerald: And when did you start the YogAbility Institute? Fitzgerald: Scientists have proven that, haven’t they? Ammidown: Oh, they certainly have. They continue to prove it with blood tests and other kinds of tests. as people who can do regular yoga classes? approach a student, how to approach myself, and how to be present with my practice. started working with her when she was 18. It’s amazing. does yoga therapy help her? interactions, social graces, and her skills are enhanced. “Whatever you’re learning, you can share with other people. class that I give. She just loves doing this. Fitzgerald: I bet! So tell me, how does a yoga therapy class differ from a studio yoga class? and the teacher usually does not ask about specifics. I always ask very specific questions. be aware of. I also always ask whether they like being adjusted or even touched. a class. In a regular yoga class, you get a set routine. There’s often music, sometimes too loud, and not pleasing to some people. sweating all over the place—that cannot be very pleasant. But then you’ve got classes led by instructors who are aware, conscious, and respectful of people. of who they hire as teachers. You can click the name and read a complete résumé on each one. hour long. At the YMCA they’re only 45 minutes, and it’s chair yoga, which I also offer at my studio. Fitzgerald: It sounds like your classes are extremely customized. doing what is appropriate and safe. Fitzgerald: Is there a particular type of yoga that’s more suitable to someone with special needs? Ammidown: It depends on the special needs, doesn’t it? I’ve had students with severe autism. One young man used to sometimes come with two caregivers. the caregiver to see how they can take in what I’m offering and doing. 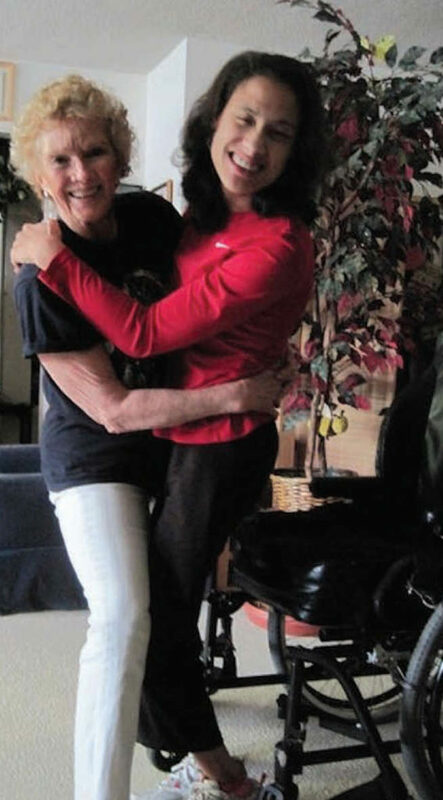 Fitzgerald: So the caregiver gets to do yoga, too? Ammidown: A bit, yes. I depends on the caregiver. I’ve had many, many who participated. over time or even from just one class? started, was able to relax and even smile; he no longer yelled and hit. His braces were taken off. sized balls for him to roll around on—it was just lovely. And there are some pictures of us together. I’ve written about him as a case history. a slide and different things like that. He’s now in his twenties and he’s a soccer champion. Ammidown: He even takes yoga classes now. So his story is a beautiful one. His parents are terrific. I would go to his home, and I would ask his siblings or a parent to participate if they were available. It became a community event. Fitzgerald: So you make house calls, too? Ammidown: Yes. I did then. I make fewer now. Ammidown: Yes. If I don’t know the people, I’ll ask if they like soft music. In private classes, I ask, and I absolutely respect and honor their wishes. But it also depends on my own mood. Sometimes I want the silence as well. and a game to bring the awareness. At the YMCA, I always play some music, but it’s very soft. Fitzgerald: Do you ever do yoga in the water? had me come to her pool at a gym and give her appropriate exercises to do in the pool. That was marvelous, doing yoga in a pool. 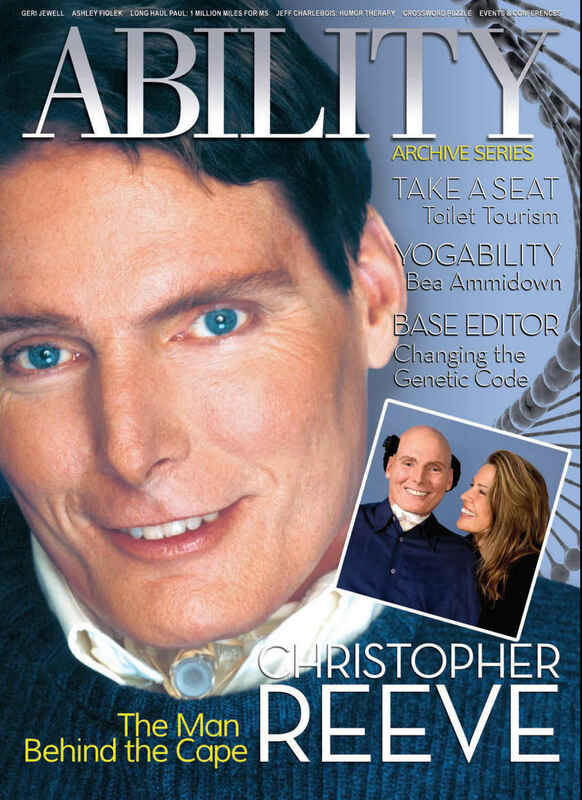 Ammidown: I’ve had quite a few students who are paraplegics. tightening the glutes and imagining you’re lifting your pelvis, that is if they have awareness in that area. 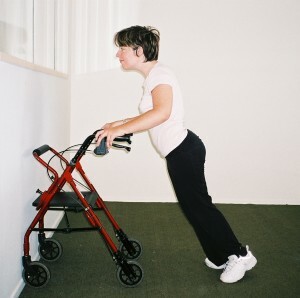 have bolsters of all sizes and shapes that are utilized for the right kind of support for the right kind of condition. Breathing is the most important. That’s where it begins. 10 to 20 men and women, and if all they’re doing is breathing and being present, they’re doing yoga. Fitzgerald: Can you gauge healing in somebody with special needs? “connection,” that’s how we connect our body’s talking and feeling to the mind and to the heart, to the spirit. a leg shortened. I had to learn to walk and talk again. Fitzgerald: And your yoga practice helped you through the surgeries and recovery? regular self. I had to have a leg shortened. and walk and hike, so I saw that what I could do for myself I might be able to share with others. broke both my arms and wrists. care of. I had to be washed and fed. But I taught yoga probably the next day. Fitzgerald: How were you able to do that? and I feel all right. And then I’ll go back to bed and be sick. Sometimes that happens. Fitzgerald: How do you see your mission as a yoga instructor? Ammidown: My mission is to be able to give back from the abundance and wealth that I have. Fitzgerald: Do you have a favorite pose? Ammidown: I do. It’s the shoulder stand. That was a favorite when I was pregnant with my daughter in ‘62. today. I’ve given two classes and taken one class already today. Fitzgerald: You do yoga with such enthusiasm and joy. Fitzgerald: That’s good. You’ve got to make time for the little joys. Fitzgerald: A lot of people scale back in their 60s and 70s, but you seem revved up, ready to go. Ammidown: Yes, I would say now more than ever. Being around the right people is really important. Not turning on the news at night. Having the right literature, the right sounds, the right silence. That’s how.